The news is out there, its been decided, Google has decided to kill off Inbox by Gmail. Those of you that use Inbox by Gmail, not only like the look and feel, they rely on the workflows that Inbox provided to keep on top of their tasks, emails, and reminders. A workflow that, honestly, I am not able to find a way to replicate with any combination of applications or websites. Most of the items that Inbox has, with the exception of Bundles and Reminders, can be replicated pretty easy with other programs and even possibly Gmail. Various media and blogs have reported that Gmail intends to bring Bundles to Gmail, but we will have to see if that actually happens. If that does become a reality, that leaves only the system of Reminders without a porper solution; although Gmail has said you should consider using Google Tasks as a replacement, but that won't work, and I will get into that a little bit later. Lets first talk about how Reminders are working today. The above seems like great integration of Reminders across all products. However, I have been doing some testing given the guidance from Gmail regarding what can be done with Reminders. As mentioned, Reminders show on Google Calendar on both mobile and Desktop, however the new Calendar side bar in Gmail does not include Reminders for some crazy reason, making reminders in Gmail non-exisstent. Gmail has not really stated definitively, one way or another, if Reminders will ever come to Gmail, and they are recommending using Google Takeout to export Reminders to an HTML file. There is a few issues I have come across with this plan. The file, as I stated, is exported as an HTML file which contains a lot of code, and information about the Reminders. One of the fields identifies where the reminder was created, however I have discovered a great deal of inconcistencies with this identifier. The other, bigger, issue is that I have not found any way to import these into Calendar, Assistant, Home, Keep, or any other program for that matter. The next issue with Reminders is around notifications. Again, I have been doing a great deal of testing, and found some issues here. I disabled Inbox by Gmail notifications, and I started to notice I was missing some of my reminders. Doing some more testing, even though the reminders were showing everywhere, if they were created in Inbox, there is no notification if you don't have Inbox anymore. I guess its possible they plan on porting that before the deprecation, but as many of you know, we can't rely on that to happen. From all of my testing to date, its clear that prior to Inbox's demise, we need to move our Inbox created Reminders to either Assistant or Calendar. This is especially difficult because there is no way to identify where the Reminder was created. There are a couple of ways to see what Reminders you have. You can currently use Inbox and search is:reminder to get every reminder you ever created, or search is:reminder -is:done to find all of the active reminders. You can open the Google app on your device and go to settings and tap on Reminders, or you can open Chrome where you are logged in and search my reminders to get a list of upcoming Reminders. Again, problem here is you can't see where they were created. Essentially, we have one solution if we want to be notified of all of our Reminders. Based on my testing, you will get a notification on your Phone if the reminder is created in Assistant or Calendar. So, starting now, what you should do is disable notifications on the Inbox by Gmail app, and every day (or a few times a day) open the app to see what Reminders are listed there that you never got notified about. Take note of those Reminders and recreate them with the Assistant or in Google Calendar. As you do this you will start to get notified of your Reminders again and slowly ween yourself off of Inbox. As I noted above, Google is suggesting you transition reminders over to Google Tasks. This is a rediculous concept for many reasons. I think I have mentioned this many times, but Reminders in Calendar or Inbox show identically on both desktop and mobile. Tasks do not, as you need to install an entirely separate application, Google Tasks, on your phone to see Tasks. In addition, Google Tasks only have a date associated with them, not a time, making them very different purposes. 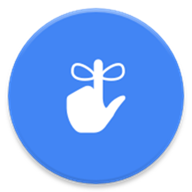 Unfotunately, as it stands today, unless someone finds another solution, the only real solution for migration of Inbox reminders is to manually identify and create reminders in either Assistant and Calendar. This will make the experience the same across desktop, mobile, and Google Home. Even if we can still use Reminders in other places, none of them has the search and batch select functionality that we have with Inbox. I relied heavily on this, so unfortunately I had to abandon Reminders completely -- which is sad, my whole organizational scheme for tasks depended of it. I moved on to TickTick a few days ago and started using using Gmail instead of Inbox. I felt I needed to move on completely before the ship sank; ripped it like a band-aid. Fantastic piece. I would also like to see the Inbox Reminder widget copied over. I love that thing. Use it hundreds of times per day. If they fail to provide a decent way to copy over all my reminders it will leave such a horrid taste in my mouth I may have to consider difference email solutions. If I knew how to code I would be immediately on to making some sort of Inbox Clone app - I hope someone out there does - I'd pay top dollar for this! I have found the best place to add reminders are in Google Keep... I really hate the idea of having to use two different apps now Gmail and Keep in order to have both my email and reminders. At least my reminder settings for morning, afternoon and night carried over to Google Keep. But, you're right I see no way to easily import all my current reminders into Google Keep. Maybe someone will come up with a tool and share. The g mail mobile signature seems to be a issue, no picture or social media. More likely, I cannot figure out how to activate/implement. Workflow disruption.....I'm going to look at it as exciting... ps I do take my frustration out on feedback in google home (''Hey google feedback **!! %&^% '' ) ;))) VERY THERAPEUTIC.